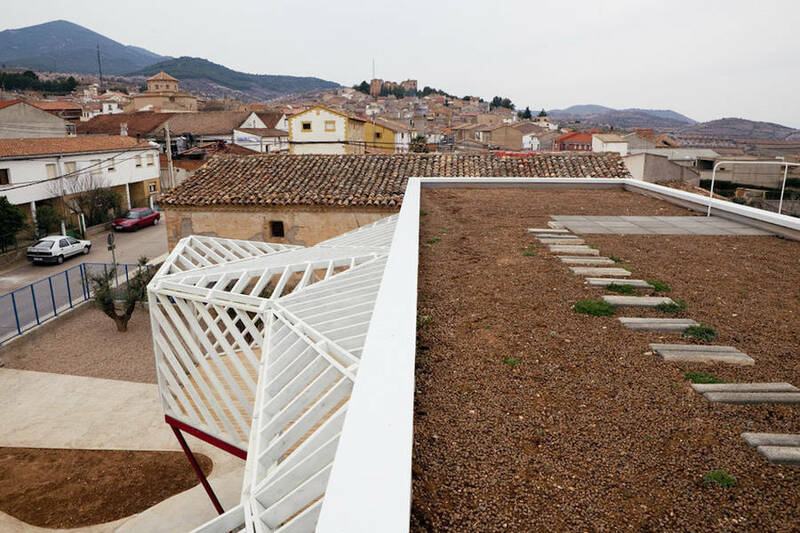 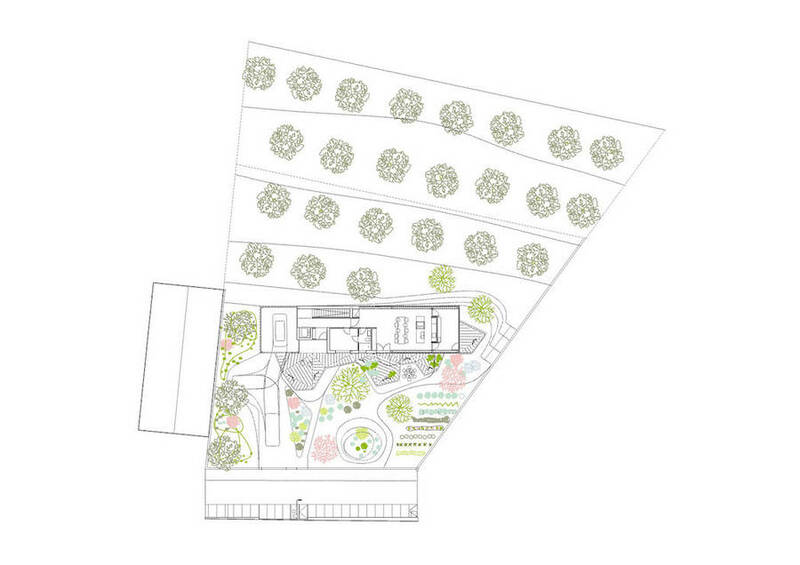 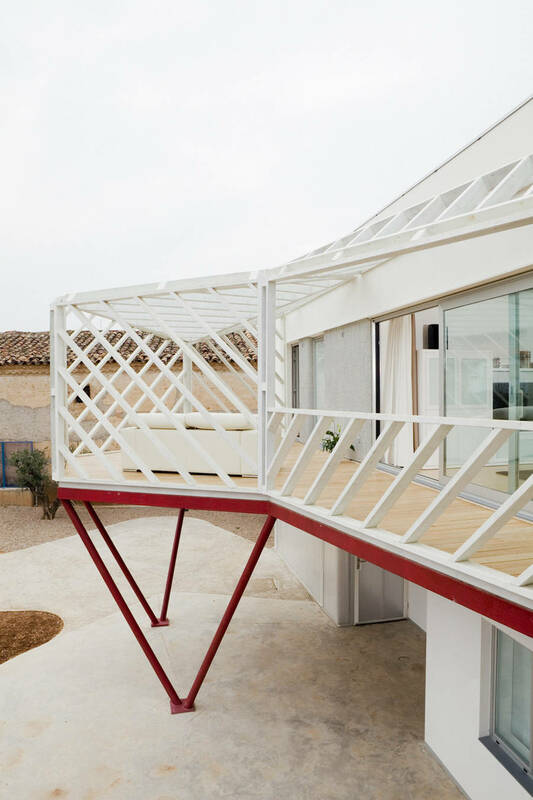 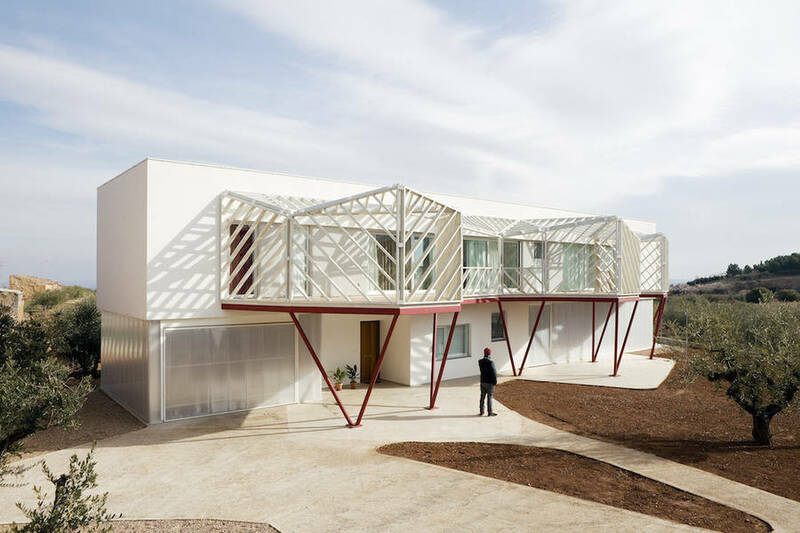 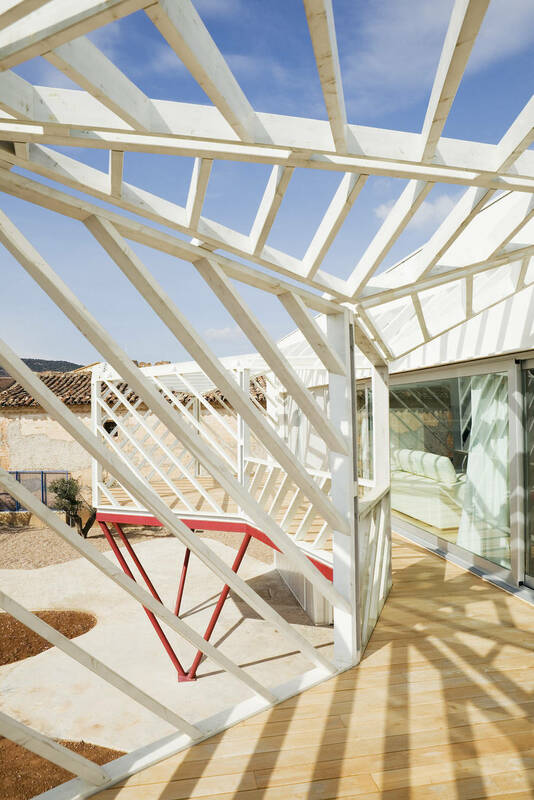 Spanish architectural firm Langarita-Navarro designed the plans of an uncommon house that is located in Zaragoza. 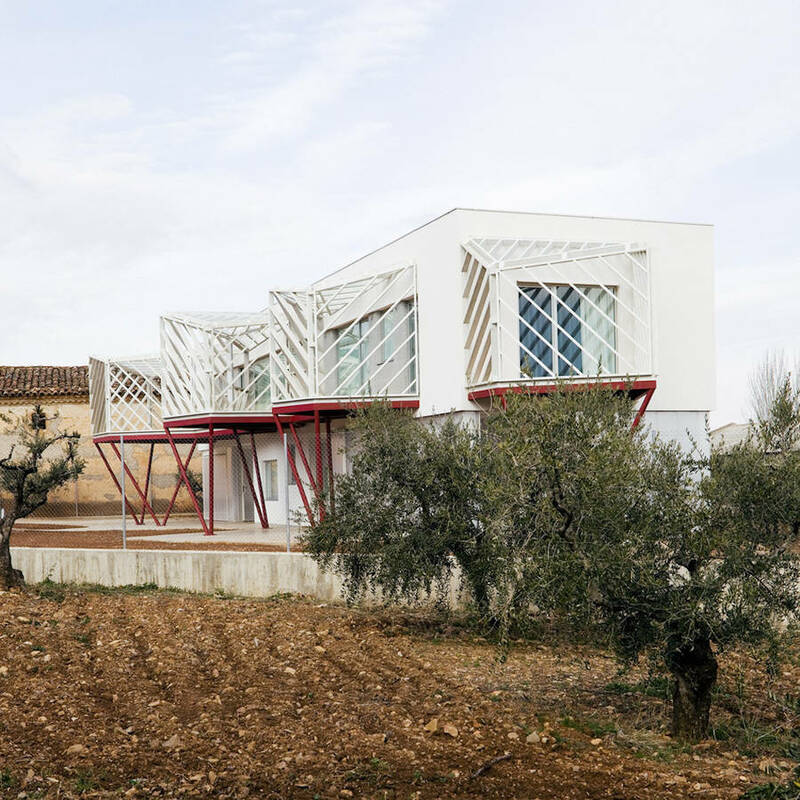 Its particularity is that is is composed of an elevated balcony as well as a geometric facade. 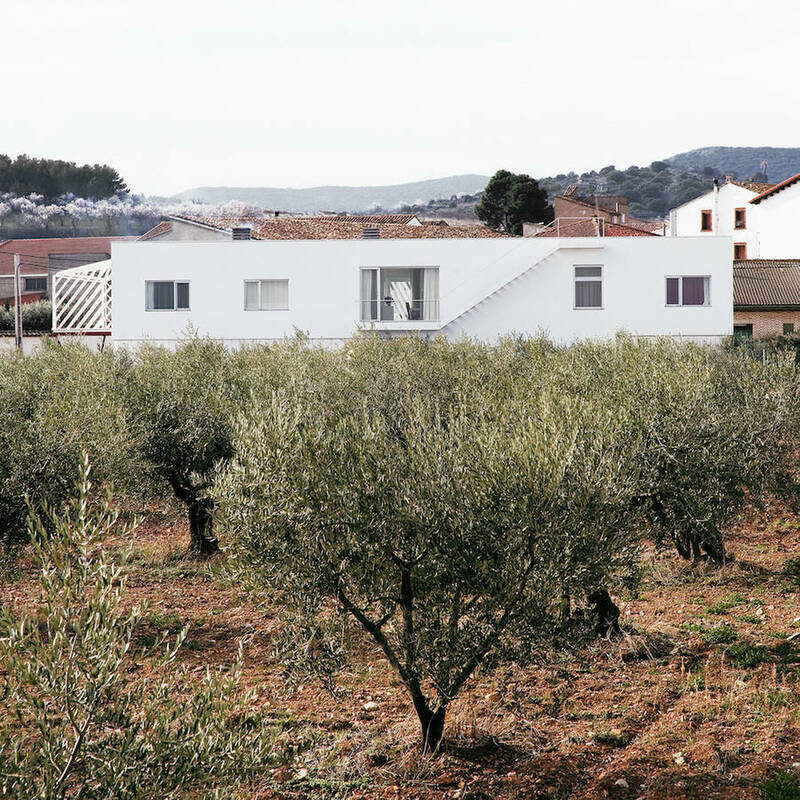 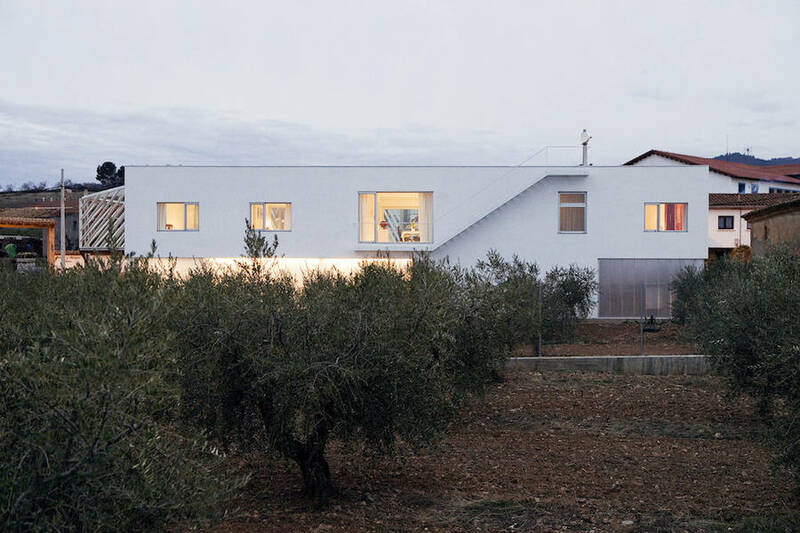 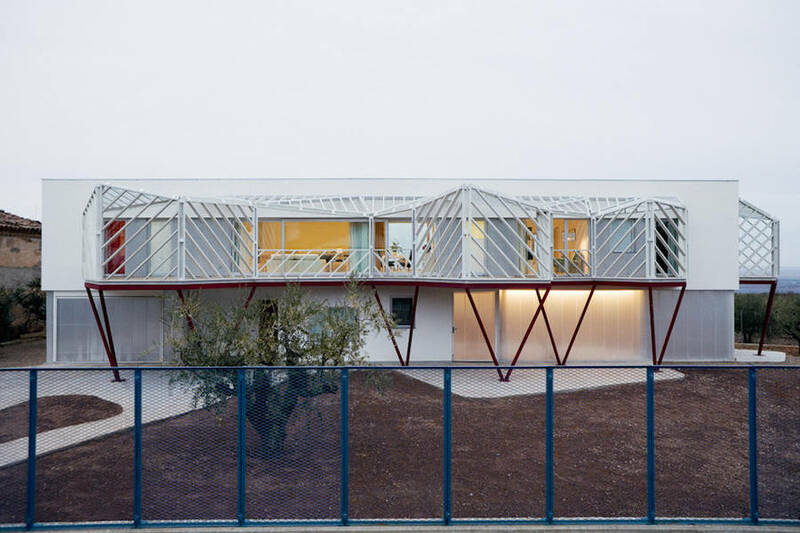 An atypical white home called Casa Doble, embellished with a few notes of red, in the middle of the olive trees.